Booking a family friendly Lake District cottage is only the first step in ensuring you and your children have the best break. Once you’ve booked your accommodation it’s time to look for activities and excursions and with the Lake District you’re in luck, there are many activities, days out and places to visit with younger family members. We have already listed the top 10 facts about Lake District which families may find interesting, but here we’re looking at just a few places you won’t want to miss. Mirehouse is a picturesque 17th-century manor house which sits on the shores of Bassenthwaite Lake. It also benefits from beautiful extensive grounds which provide many natural and hidden play areas to keep little ones occupied. A change of clothes is recommended, or at very least a pair of wellies as the children will want to enjoy the messiest of adventures. The Mirehouse Manor House has its own beautiful Bee Garden, complete with the heather maze and sheltered picnic dens. There is also an adventure playground for older children with a zip wire, balance bridges and rope climbers to brave. Nearby you can also enjoy wonderful walking and biking trails in Dodd Wood where you can spot osprey and other wild birds. There is something magical about a waterfall and the whole family is bound to agree. Aire Force Waterfall is a popular National Trust site and you have the chance to enjoy the local area and the babbling Aire Beck. The Beck creates an atmospheric and peaceful trickle as you follow it to the waterfall and with a 20-metre drop, which you can view from above and below, the waterfall is bound to see little mouths agape and eyes as wide as saucers. Many visitors to the Lake District want to enjoy just a little hillwalking and Loughrigg Fell is one of a few family-friendly options in the area. It also has the added benefit of being a favorite of Alfred Wainwright, considered one of the smallest of the Wainwright Fells. An easy to follow the path and gentle gradient allow you to take the whole family, perhaps for their first experience of fell walking. The summit is fairly rocky but you can enjoy fantastic views over Grasmere and the kids can enjoy exploring the streams and tarns that are scattered across the peak. Grizedale Forest Park Go Ape! Older kids will not want to leave the Lake District without a chance to try the adventure park at Grizedale Forest. This treetop adventure is suitable for children aged ten or over and adults must supervise too. The highest Go Ape platform is a towering 18 meters high and you can see for miles around. There’s also the chance to fly an awe-inspiring 200 meters across Grizedale Beck and the beautiful forest canopy. Go Ape is a true must-visit for thrill seeking older children and teens. If you’ve chosen the Lake District for your family holiday, chances are part of the reason was Beatrix Potter. Her stories have made the Lake District a beloved location for people of all ages who enjoyed reading her books as children. The World of Beatrix Potter Attraction is the only themed attraction of its kind in Europe and you and the whole family get the chance to meet Peter Rabbit, Jemima Puddleduck and many more of Beatrix’s funny, furry characters. It’s a fantastic way of introducing your children to your favorite childhood characters, as well as enjoy a trip down memory lane yourself. 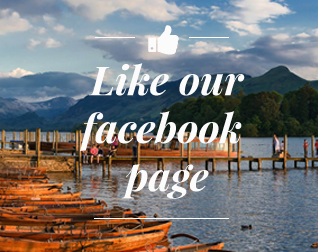 A family holiday in the Lake District is a great experience for all travellers of all ages. There is something for everyone and you can be sure the children won’t be bored for a second.